Kantilal Chhaganlal Securities’ long term association with the capital markets, backed by quality research, helps us service Retail investors, Institutional investors, Financial Institutions, HNIs etc., with the highest level of trust and integrity. We are a member of BSE (Cash and Currency), NSE (Cash and F&O) and depository participant of Central Depository Services (India) Limited (CDSL). We offer online equity & derivatives trading facilities to clients who are looking for an easy, user friendly, convenient and hassle free trading experience. Our clients have access to a multitude of resources like live quotes, charts, research, advice and online assistance, helping them take informed decisions. Our institutional broking desk consists of market experts, dealers and a research team that gives our clients an edge over other market players. We have been conducting business with some of the big names among financial institutions for over 20 years. Over the years, we have been able to conceptualize and provide our clients and business associates a comprehensive range of investment solutions to meet their varying investment objectives. Commodities’ trading is a global phenomenon and offers tremendous potential to market participants for profit taking on small price corrections. It also provides hedgers looking at managing price risk on account of price fluctuations a means of monetising their views on the market. In developed markets, like USA, futures trading are almost 20 times that of a cash/physical market. The Indian Commodities Futures market, though nascent, offers huge potential to market players. Over a period of time, the business volumes at MCX have increased manifold since their inception. Commodities volumes are slowly but surely catching up with equity market volumes. Kaycee Commodity Services Pvt. Ltd is a trading member of MCX. We provide online as well as offline facility. We have the best state of art technology for our Business Partners as well as our Clients. We also provide online back office facility to Business Partners and all our Clients. Keeping in mind the increased volatility in all markets and need for portfolio diversification, we are privileged to introduce to our esteemed clients one more product to add to their investment basket in the form of “COMMODITIES FUTURES”. The purpose for the new offering is to provide the client an opportunity to encash the vast potential of the commodities sector. Our research team constantly keeps our clients and business partners abreast and updated with information that helps them take informed decisions. We provide daily and weekly reports on the commodities sector as a whole as well as on specific commodities. We keep our Clients and Business Partners regularly updated on our research calls via Email, Chat and SMS services. Kantilal Chhaganlal Securities is a Depository Participant of CDSL. Clients can open demat accounts with us by visiting any of our nearest branch. Upon activation of the demat account, we will send across a Welcome Letter along with the Delivery Instruction Slip book to the client. Our Depository Services are being offered to individuals as well as corporate clients. Dematerialisation of shares : Customer can convert their physical securities into electronic form by surrendering the physical certificate along with DRF (Demat request forms) at any of our branch. Re-materialization : Re-materialization enables you to convert the dematerialised shares into physical form. 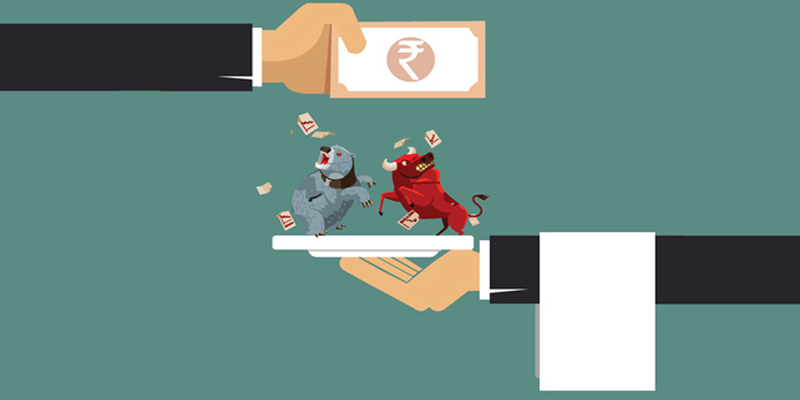 Pledge : You can pledge securities to avail a loan against your demat shares. Transfer of shares : You can transfer securities from one demat account to another by giving delivery instruction to us. Right issue : All corporate actions such as dividends, allotments resulting from rights and bonus issue will automatically be credited to your Demat Account with us. IPOs : If there is any transaction during the month then statement of transaction will be send to you on monthly/quarterly basis depending upon the frequency of operatins in your Demat Account. The statement of account will be sent in electronic form to email id registered with us. Statements in printed form will be provided on request. We offer Loan Against Shares (LAS) facilities to our clients, helping them to take advantage of investment opportunities in the market by raising money against their existing portfolio. You can use shares currently in your portfolio to take larger positions in the market or use the margin funding route whereby you need to put up only a portion of the value of the stock you wish to purchase, the balance will be funded by us. LAS facility against marketable shares is available to individual and corporate clients. • Liquidity without selling your long term Investments. • Gains on your existing Investments. • Take advantage of investment opportunities. • Easier and faster processing. • Pay interest only for the period of actual funds Utilization. Kantilal Chaganlal Securities Pvt. Ltd. The launch of currency derivatives in India, recommended jointly by SEBI and RBI, opened one more lucrative avenue for trading. A Currency Future, also known as FX Future or Foreign Exchange Future, is a future contract to exchange one currency for another at a specified date in the future at a price (exchange rate) that is fixed on the purchase date. Currently, India is a USD 34 billion OTC (over-the-counter) market. Through us you can use the BSE-CD trading platform just by a simple account opening and documentation process. STEP 1: What is a Mutual Fund? A Mutual fund is a vehicle for investing in stocks and bonds. Mutual fund pools the money of several investors and invests this in stocks, bonds, money market instruments and other types of securities. The owner of a mutual fund unit gets a proportional share of the fund’s gains, losses, income and expenses. Equity (Growth) Only in stocks. Debt (Income) Only in fixed-income securities. Money Market (Including Gilt) In short-term money market instruments (including government securities). Balanced Partly in stocks and partly in fixed-income securities. The company that puts together a mutual fund is called an AMC. An AMC may have several mutual fund schemes with similar or varied investment objectives. The AMC hires a professional money manager, who buys and sells securities in line with the fund's stated objective. The Securities and Exchange Board of India (SEBI) mutual fund regulations require that the fund’s objectives are clearly spelt out in the prospectus. In addition; every mutual fund has a board of directors that is supposed to represent the shareholders' interests, rather than the AMC’s. 2.How is NAV calculated ? AMCs charge an annual fee, or expense ratio that covers administrative expenses, salaries, advertising expenses, brokerage fee, etc. A 1.5% expense ratio means the AMC charges Rs1.50 for every Rs100 in assets under management. A fund's expense ratio is typically to the size of the funds under management and not to the returns earned. a) Open-Ended Funds : At any time during the scheme period, investors can enter and exit the fund scheme (by buying/ selling fund units) at its NAV (net of any load charge). Increasingly, AMCs are issuing mostly open-ended funds. b) Close-Ended Funds : Redemption can take place only after the period of the scheme is over. However, close-ended funds are listed on the stock exchanges and investors can buy/ sell units in the secondary market (there is no load). STEP 3: Why Invest through Mutual Funds? Fund managers monitor market and economic trends and analyze securities in order to make informed investment decisions. Most private sector funds provide you the convenience of periodic purchase plans, automatic withdrawal plans and the automatic reinvestment of interest and dividends. Mutual funds also provide you with detailed reports and statements that make record-keeping simple. You can easily monitor the performance of your mutual funds simply by reviewing the business pages of most newspapers or by using our Mutual Funds section. b) Equity Funds - Short term capital gains is taxed at 15%. Long term capital gains is not applicable.Debt Funds - Short term capital gains is taxed as per the slab rates applicable to you. Long term capital gains tax to be lower of - 10% on the capital gains without factoring i ndexation benefit and 20% on the capital gains after factoring indexation benefit. 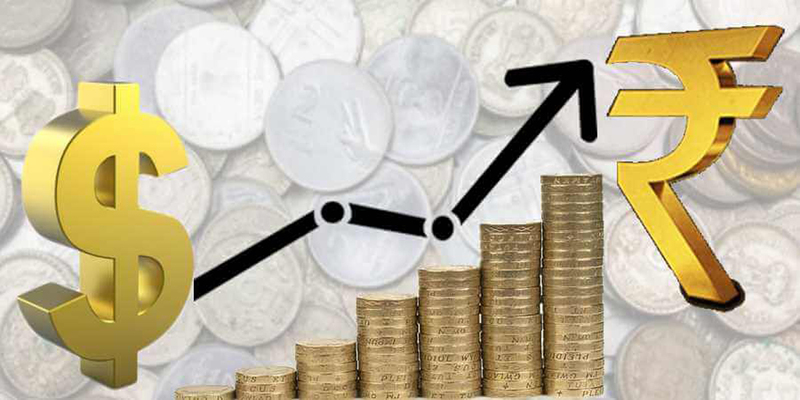 c) Open-end funds with equity exposure of more than 65% (Revised from 50% to 65% in Budget 2006) are exempt from the payment of dividend tax for a period of 3 years from 1999-2000. Life insurance : Life insurance, is a contract between an insurance policy holder and an insurer or assurer, where the insurer promises to pay a designated beneficiary a sum of money (the benefit) in exchange for a premium, upon the death of an insured person (often the policy holder). Depending on the contract, other events such as terminal illness or critical illness can also trigger payment. The policy holder typically pays a premium, either regularly or as one lump sum. General insurance : General insurance or non-life insurance policies, including automobile and homeowners policies, provide payments depending on the loss from a particular financial event. General insurance is typically defined as any insurance that is not determined to be life insurance. It is called property and casualty insurance. The modern insurance policy also helps you to achieve your financial goals. Why invest through us ? Kaycee Advisory is licensed insurance broker by IRDA. We offer different kinds of Insurance solutions to achieve your various goals and to protect your assets from financial losses. We are tied-up with multiple Life and General insurance companies. Get up to 1 crore in case of 34 critical illnesses. Protection against permanent disability due to accident. Option to get sum assured as lump sum or monthly income. Get claim amount on detection. Get treated at the hospital of your choice. Waiver of future premiums for Minor conditions of Cancer or Heart for full policy term. Tax benefit under Section 80D. Premium starts at INR 4000/- p.m. Choice of 8 funds (equity, debt and balanced) to invest and grow your money. Premium Waiver Benefit and Life cover to secure your child's future. Get Loyalty Additions & Wealth Boosters by staying invested. Premium starts at INR 2, 00,000/- p.a. Move your investment between equity, debt & balanced funds. Choice of 4 portfolio strategies. Premium starts at INR 6, 00,000/- p.a. Rewards of Wealth Boosters and Loyalty Additions. Premium starts at INR 4,000 /- p.m.